The area was originally named by British settlers in 1630 for the wild berries growing there, and it is one of America's oldest continuously occupied neighborhoods. 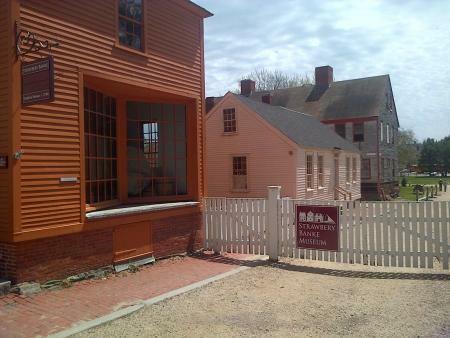 In addition to the museum, whose main season runs from May 1 through October 31, there are fun family events throughout the year, including An American Celebration for the 4th of July, the NH Fall Festival, Ghosts on the Banke for Halloween, and December Candlelight Strolls. 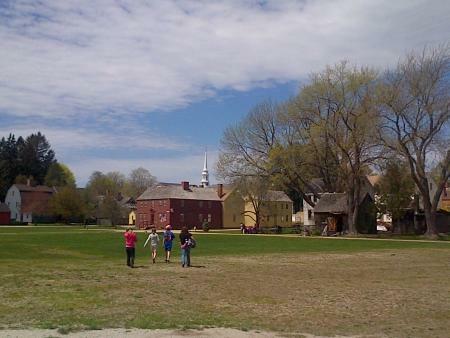 Strawbery Banke also offers summer camps for kids ages 6-16; click here for info. The expanded Tyco Visitors Center is open during the Strawbery Banke Museum season (May 1 through October 31), 7 days a week from 8:30 am to 6:00 pm. Amenities include the welcome/ticket desk, orientation film and greeter, expanded lecture hall, ADA-compliant restrooms, and The White Apron Café at Strawbery Banke. Deals & Steals Alert! As a Blue Star Museum, Strawbery Banke offers free admission at all times to active-duty military members and their families.